The following is a summary of an article by Ross Klein, who is regarded as the Ralph Nader of the cruise ship industry. Ross Klein is a social work professor at Newfoundland's Memorial University and has written a number of exposes of major social and environmental problems caused by cruise ship companies in the United States and the Caribbean. The cruise industry is the fastest growing segment of the leisure travel market and actively encourages the expansion of additional ports for its business. This allows the companies to play the ports off against each other and reduce or eliminate all port charges. At the same time the port cities are investing large sums of money in new cruise terminals to attract cruise lines often at the expense of local infrastructure or at the expense of another port down the coast. 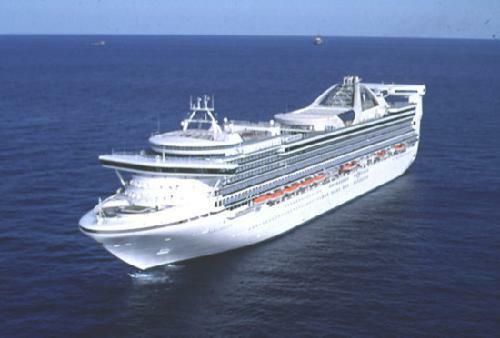 Economically the cruise industry is in the game of maximising profits and aim to have their passengers spend money on board so there is less to spend on shore. As little as 1/3rd of the money paid by passengers for onshore excursions reaches the pockets of the shore excursion provider. Efforts by the industry to cut costs have resulted in ports having to make concessions to keep ships or to entice ships to come. As an example in 2001 Vancouver Port built a third berth for $79million to keep the ships coming. Since the new berth opened ship calls at Vancouver have decreased by 11% and passengers by 19%. In economic supply and demand theory it is a situation where there are more suppliers of ports than there is demand for ports. Building piers and terminal does not mean cruse ships will come. "Most ports perceive the cruise industry as a 'cash cow'. This perception is based largely on estimates of passenger spending in ports. But it doesn't take into account the cost of marketing the port, the construction and maintenance cost for terminal and piers, increasing costs for port security, the cost to cities for infrastructure and service and the demand on the health care system for passengers needing emergency medical attention."